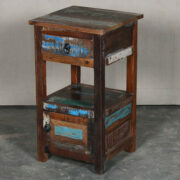 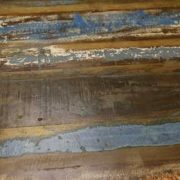 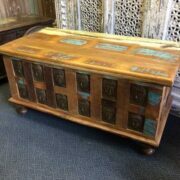 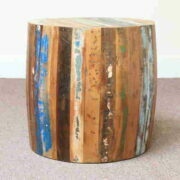 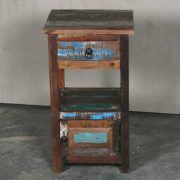 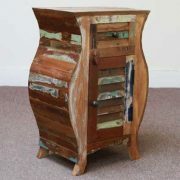 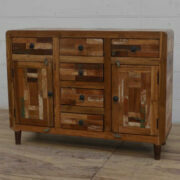 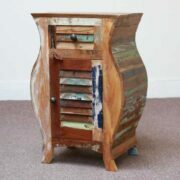 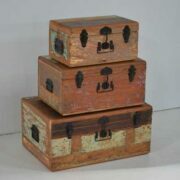 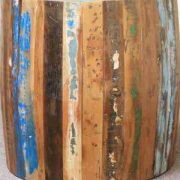 These gorgeous pieces are made from a mixture of reclaimed timbers including teak, sheesham and mango wood. 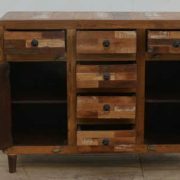 The wood used has been recycled from old Indian buildings such as factories and Havalis, which makes for a fantastic environmentally friendly option in furniture making. 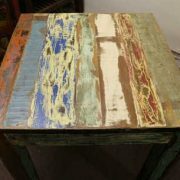 As each piece is made by hand, colours vary, with many blues, greens, creams and sometimes oranges, red and pinks being used. 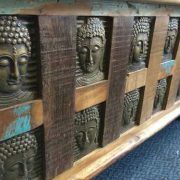 Which means no two pieces look exactly the same – each one is unique!